SEBRING (AUS) (Chestnut 2005-Stud 2009). 5 wins at 2, STC Golden Slipper S., Gr.1. Sire of 700 rnrs, 466 wnrs, 51 SW, inc. Criterion (Australian Derby, Gr.1), Dissident, Egg Tart, Lucky Bubbles, Amphitrite, Bring Me the Maid, Ringerdingding, Sesar, Sedanzer, Gold Standard, Seaburge, She Brings Joy, Catch a Fire, Hattori Hanzo - Let Us Win (H.K. ), Believe Yourself, Ulmann, Thurlow, Master Ash, Art Series, Broadband, Miss Admiration, etc. Plum Pudding (f. by Sebring). Winner. See below. Caribou (f. by Denman). Winner at 1000m in Aust. MISSION CRITICAL (Fantastic Light). 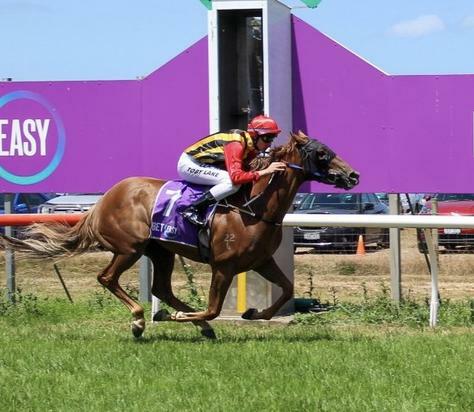 4 wins from 1400m to 2000m, NZ$179,925, A$132,575, Waikato RC International S., Gr.1, BTC Rough Habit P., Gr.3, Waikato RC Super Liquor 3YO S., 2d WRC Wellington S., Gr.3, 3d VRC Emirates Airline P., L, 4th ARC Great Northern Guineas, Gr.2, WATC CB Cox S., Gr.2, AJC Frank Packer P., Gr.3. BRILLIANT LIGHT (Fantastic Light). 7 wins from 1000m to 1600m, A$489,770, STC Ajax S., Gr.2, AJC Doncaster Mile Prelude, L, STC Parramatta Leagues Club H., Milton Meats H., 2d Newcastle JC Newmarket H., Gr.3, 3d AJC Doncaster H., Gr.1, 4th ATC Ajax S., Gr.2. All Cerise (Redoute's Choice). 6 wins from 1250m to 1600m, A$357,940, ATC TAB Rewards H., McGrath Estate Agents H., TAB Ipad App H., Cellarbrations H., VRC Barrie Kerr H., Curragh Racecourse H., 2d ATC Aspiration H., Gr.3, City Tattersalls Club H., Australian Turf Club H., 3d ATC Blacktown Workers Club H., Become an ATC Sponsor H., Myboycharlie at Vinery P., 4th ATC Phar Lap S., Gr.2. Manor House. 3 wins-1 at 2-at 1200m, 1400m, ATC Carramar 2YO P., 2d ATC Ibis Milano Lunch Special H.
Alluring Belle. Winner at 1150m in Aust. Billy. 4 wins at 1m, 8½f in U.S.A.
Brinkmanship. 4 wins from 19½f to 24½f in GB. Wake. 3 wins at 1m in U.S.A. Win the Future. 2 wins at 7f, 8½f in U.S.A.
Bocce (Foxwedge). Winner at 2, NZ$99,835, in 2017-18, Levin RC Fasttrack Insurance 2YO H., 2d Rotorua RC Faulkner Drainage H., 3d ARC Karaka 2YO Million, RL, BOP RC Mills Reef Winery H., 4th ARC Diamond S., Gr.1. Kona Breeze (Sebring). Winner at 1300m, 2d MRC Chairman's S., L, VRC Nursery P., 3d MRC TMB Printing H.
NEDAWI (Rainbow Quest). Top of The 1998 International 3YO Classification (Ext.). Champion 3YO Stayer in GB in 1998. 3 wins at 1½m, 14½f, £353,355, 460,000Dhs, The St Leger, Gr.1, Goodwood Gordon S., Gr.3, 2d Ascot King George VI & Queen Elizabeth Diamond S., Gr.1, Nad al Sheba Dubai Turf Classic S., L, 3d Haydock July Trophy, L. Sire. FITFUL SKIES (Dubawi). Champion Older Female in Germany in 2013 (Int.). 4 wins from 2100m to 2350m, €89,600, US$107,166 in France and Germany, Hannover Grosser Preis von German Tote, Gr.3, 2d Woodbine EP Taylor S., Gr.1, Baden-Baden T von Zastrow Stutenpreis, Gr.3, Chantilly Prix La Moskowa, L, Le Lion-d'Angers Prix Urban Sea, L, 4th Belmont Sheepshead Bay S., Gr.2. WALL STREET (Mr. Prospector). 3 wins from 1m to 1½m, Ascot Cumberland Lodge S., Gr.3, Newbury Steventon S., L, 2d Goodwood Select S., Gr.3, 4th Deauville Prix Guillaume d'Ornano, Gr.2. Wajina (Rainbow Quest). Winner at 2100m, Saint-Cloud Prix Duschka, 2d Deauville Prix Kergorlay, Gr.2, Longchamp Prix Gladiateur, Gr.3. Producer. Karatoya (Tiger Hill). 3 wins from 2600m to 2900m, 3d Longchamp Prix Lord Seymour, L.
NOCTURNAL FOX (Farhh). 2 wins at 2100m, 2400m, €89,050, in 2018, Chantilly Prix Hocquart, Gr.2, Maisons-Laffitte Prix Empery. BEST OF TIMES (Dubawi). 3 wins-2 at 2-from 7f to 1¼m, Newmarket S., L, 2d Goodwood Cocked Hat S., L.